In the early days, pioneering work at Bourn Hall helped to introduce new IVF techniques, including the introduction of embryo freezing. In 1985 the first baby from a frozen embryo was born. During IVF treatment, one or two embryos are transferred to woman’s womb, in line with government advice. If more embryos are created these can be frozen and used if further IVF cycles are required. Excellent IVF success rates from frozen embryos gives the option, in some cases, to delay embryo transfer. Some patients find breaking the treatment in this way helpful as it gives time for the body to recover from stimulation and may be less stressful. Your consultant will advise if this is appropriate for you. It is also possible to freeze embryos ahead of cancer treatment or other medical procedure that may affect your fertility. This would allow you and your partner to have fertility treatment when you are recovered. However, for this to happen, both parties must be in agreement so if you are not in a long-term relationship it may be advised to freeze your eggs or sperm instead as this provides more options in the future. Jessica and husband Marc first started trying for a baby more than ten years ago, when Jessica was still in her twenties. 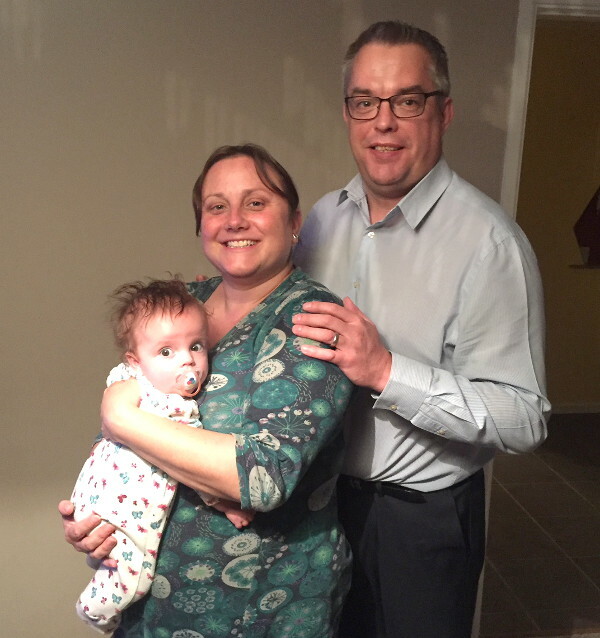 They finally went to their GP and, after being referred for tests, were told that Jessica had a condition called Polycystic Ovary Syndrome (PCOS) – one of the most common causes of fertility issues in women. “I had been on the contraceptive pill for years before we got married and it had masked many of the symptoms,” Jessica explains. PCOS disrupts the release of a woman’s eggs and common symptoms include irregular periods or no periods at all; excessive hair growth, such as on the face; weight gain; oily skin/acne and thinning hair. Over the next two years Jessica underwent two courses of ovulation induction treatment. The couple were disappointed when they still didn’t conceive naturally and eventually they were referred for IVF treatment at Bourn Hall Clinic. “By this point I was in my mid-thirties and I really did feel as though my body clock was ticking. I really had begun to think that perhaps being a mum just wasn’t going to happen to me,” Jessica said. Jessica was devastated when her first attempt at IVF had to be cancelled half-way through because she only produced one follicle. She then fell pregnant naturally, but was devastated when she suffered a late miscarriage. Jessica was given a higher dosage of drugs to stimulate her ovaries and then the eggs, which were retrieved and successfully fertilised, were all frozen instead of the usual practice of a ‘fresh’ embryo transfer happening simultaneously. “The idea was that my body would have time to recover from the stimulation drugs before transfer,” says Jessica. The couple went on holiday for three weeks before Jessica underwent a frozen embryo transfer which resulted in a healthy pregnancy and the birth of Elisabeth. Elisabeth (Lizzie) was named after Jessica’s mum who passed away suddenly 15 years ago. 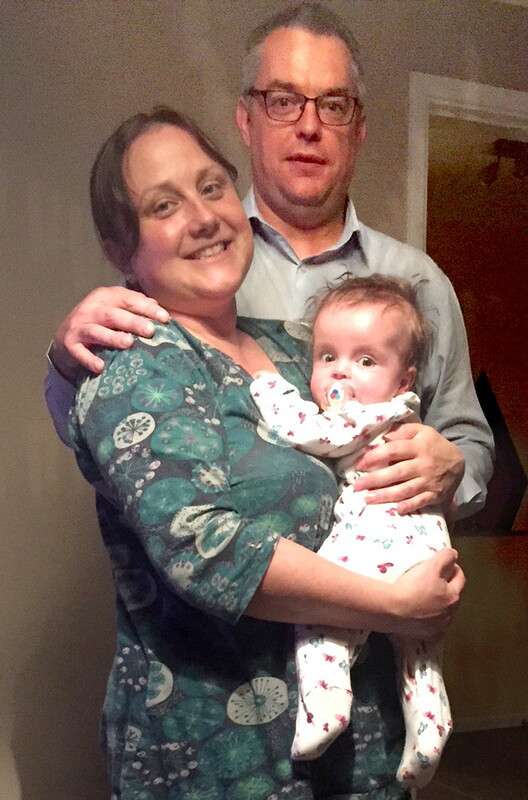 Jessica and Marc are now settled in to family life with their daughter, but Jessica says she kept pinching herself for the first few months. “It took us a couple of months to believe that it had really happened. Find out more about embryo freezing at Bourn Hall click here.